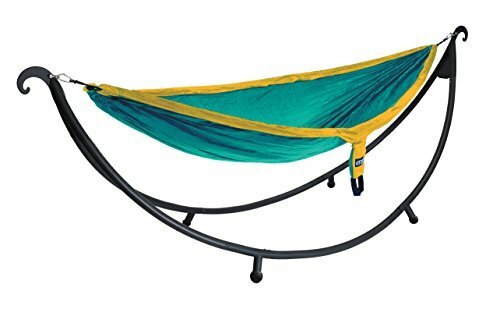 Dimensions: 10'9" x 3'5" x 4'1"
Tired of searching for two perfect hammocking trees? Look no further than the ENO Solopod, with its effortless assembly, polished aesthetic and versatile non-slip feet. The Solopod quickly packs down for minimal storage making it the most sleek and convenient stand on the market. From poolside to lakeside, you will never have to say no to hammocking again. Available in Brown and Charcoal finishes.